But most of Biff’s ideas are so sensible! Intramuscular injections of caffeine is often used as a treatment for snakebite. I have it on good authority, however, that it feels like all the blood in the region has been changed into fire. A local doctor up here (where we have a goodly number of snakes, and hikers not paying attention) used to prescribe it regularly, until he needed the treatment and now…he chooses to use alternate methods. Search “caffeinated” in thinkgeek.com ‘s listing. You’re bound to find quite a few things that would surprise you. Caffeinated bacon was an example, but they no longer hold it… though they do have quite a few other items. Caffeine hasn’t affected me at all… Until I started to buy coffee at work a few weeks ago! Oh my goodness! That coffee must be 5x stronger than the coffee that I drink at home! Sometimes my legs just like a good nap. Work only cares whether my top half is awake. If coffee beans are caffeinated, how do they sleep at night? Think I’d be doomed if they did that. Caffeine tears up my stomach; sugar usually doesn’t. 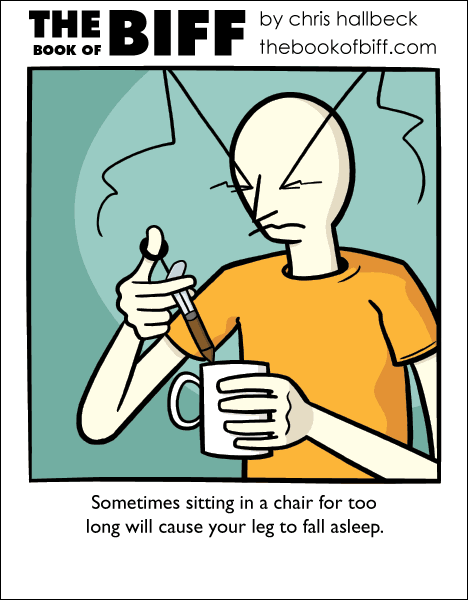 When I don,t get enough sleep I feel a lot of pressure under my eyes and I always want to inject caffeine there. The reason its not in more things is because it tastes THE WORST EVER.